There are many must see attractions in the Indian Trail area. A visit to the Wise Acres Organic Strawberry Farm is a must if you are there during season. The Treehouse Vineyards are great for the wine lovers out there. No matter why you are in the area, a toothache is a pain you do not want to ignore. The pain is an indication of a problem and a trip to get it checked out is vital. Indian Trail has many options when it comes to dentists and specialist so you can rest assured you will have the help you need. Emergencydentistsusa.com put together a list of area dentists and specialists in Indian Trail, North Carolina. 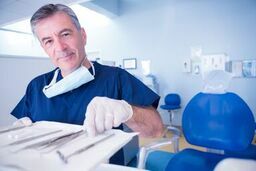 The list includes both general dentists and specialists such as periodontists, oral surgeons, orthodontists, and more. Go over the list, select the dentist, and give them a call to set up an appointment. Should you wish for more assistance, call our toll-free dentist finder hotline. Our team member are ready to assist you when you call our hotline. They are trained to listen to your needs and help you find the dentist or specialist best suited to care for you. We help you through the process and can even schedule your first appointment for you. Put together a list of your medications and allergies to take with you to the dentist. Arrive 15 minutes early to fill out paperwork and have your photo ID, insurance card, and payment method on hand. Being new to the area, you might be concerned about available dental options. Indian Trail has many options available for both general and dental specialists. Before seeking an appointment with a specialist, consult with your general dentist. They can best ascertain whether you need to be referred out to a specialist. Description: Pleasant Plains Dental provides comprehensive dental care to patients of all ages. Dr. Ernst and staff provide a wide range of services such as implants, root canals, whitening, cleanings, extractions, and more. The office accepts most dental insurances, and offer flexible financing options. Description: At Indian Trail Family Dentistry you can expect high quality dental care in a welcoming environment. The office offers a wide range of services such as whitening, cleaning, extraction, fillings, and much more. Most forms of payments are accepted as are most insurance providers. Financing is also available to extend payments over a longer period of time. Description: Friendly Dental Group of Indian Trail provides quality dental care for all general, pediatric, and preventive dental needs. The office welcomes new patients and walk-ins. They accept and work with most dental insurances. They even offer a VIP Dental Discount program. Tooth pain that comes on fast and lasts longer than an hour needs to be treated as quickly as possible. There could be serious dental problems lurking that with proper care can be prevented from escalating. If the pain you are feeling is due to an accident, go to the nearest ER first to seek treatment. It is important to check out a new dentist before you visit them. You can easily check that their credentials and license is up to date by visiting the North Carolina Dental Society website and searching for the dentist’s name.